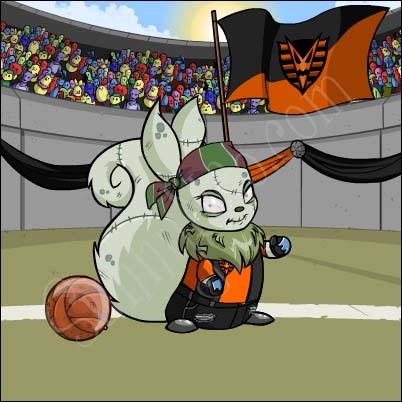 What's more fun than showing off which Team you support with your customised Pets? This page holds several suggestions for showing your team support, general suggestions and ideas to represent each separate land. You can use these as an example to customise your Pets. Of course, the customisations mentioned here are only suggestions. You can mix and match with other clothes however you'd like. For more suggestions, visit our special Altador Cup Customisation Overview page that shows all possible Altador Cup related clothes. Or, if you want to be more original, have a look at our Neopoint Wearables, Paintbrush clothing and NC Mall pages, for even more wearable suggestions. Dress up or down with these basic trousers. Even the announcers of the Altador Cup celebrate. This was given out by the Advent Calendar in Y11. This slushie cap is sure to make friends and family smile. This was given out by the Advent Calendar in Y10. Ahhh... the entrance to the Altador Cup! Keep the torch and the competition burning bright. Show your Altador cup pride by proudly displaying this flag! Awwww... this Yooyu is so snuggly soft! This face paint will show how much you love the Altador Cup! Look stylish with these funky gold Altador Cup sunglasses. With the shining light of the sun this staff will light your way. What is behind the wall? This Entrance to Altador Background is only available if you have a virtual prize code from BURGER KING(R) in the US! 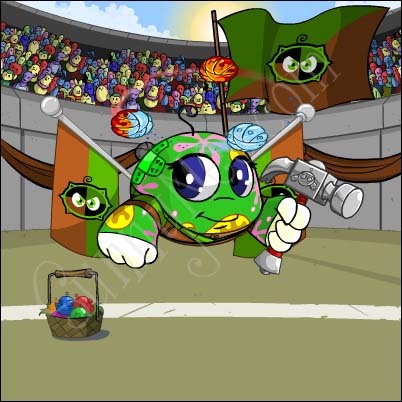 Any Neopet will look ready to win when there is a large crowd watching. This beach ball is a bit soft, but that makes it a little softer to catch! White is such a calming colour. This megaphone truly amplifies your voice! This shirt will help you and other Neopets remember the Altador Cup IV. Other fans will know that you love your team when you wear these glasses. Even this hat is a bit of a fanatic! Who needs public transportation when you ve got these? Now to start the games! Keep track of your yooyuball strategy and have fun too! Someone has been hard at work practicing! These sleek shorts are quite comfortable for hours of game playing. This shiny medallion will show everyone how much you love the Altador Cup! Keep your warm-up clothes handy with this tote. Theres no better way to relax tired muscles after a hard game of Yooyuball than by taking a hot steam shower. This was given out with the Altador Cup V NC Challenge Y12! Kit yourself out like your favourite Yooyuball player with these comfy training shorts. This was given out with the Altador Cup V NC Challenge Y12! Watch out for those flying Yooyus! Ah... perfect for any holiday party or gala. This was given out by the Advent Calendar in Y11. Yooyus will be flying high in the sky with this fun kite! These marbles look just like Yooyus! This sporty shirt will keep your playing for hours. These elegant trousers are worthy of royalty. A pretty locket is never complete without a surprise inside! Awww... this yooyu looks like it wants to help you. Get ready to play and show your love of Yooyuball with a tattoo! Well, at least we know now that Yooyus bounce when you drop them. What a relief. This was given out with the Altador Cup V NC Challenge Y12! Show other Altador Cup fans which team you support with this background! The Altador string lights are a wonderful holiday decoration. CHARGE!!! He might not yell it, but he certainly is charging. This belt has hinges by each leaf so that it is quite comfortable to wear. 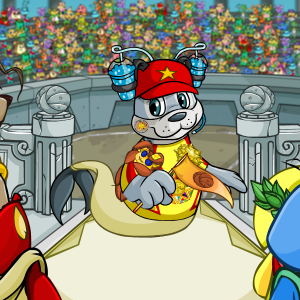 Any Neopet will look like royalty with this beautiful crown. Wind three times and POW! Wonder what kind of knowledge comes from this helmet? This shield is perfect for a game of Knights vs Monsters! Will your Neopet turn into a handsome prince, or a beautiful princess? Now your Neopet can show their support for Brightvale with this Altador Cup jersey! This dress would be wonderful for a stroll through a garden. Shimming with the light from above these wings are sure to dazzle! These stained glass earrings are sure shine in the sun. Although it looks a bit like a spyder web this beautiful necklace is sure to impress. Keep your hands warm and clean with these beautiful white gloves. These light weight trousers will keep your Neopet cool in the summer. These Paint Brushes were found in Lord Darigans floating citadel! Dont put in on too tight. 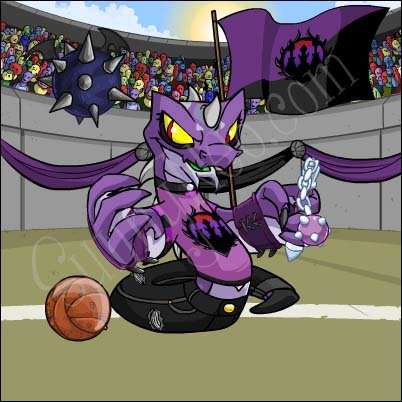 Now your neopet can show their support for Darigan with this Altador Cup jersey! Bracers are an important part of any warriors outfit. Luckily this toy mace doesnt hurt... at least that is the story we are sticking to. A few simple clothing items are always nice to have in your wardrobe. Pointy hair is sure to make all the difference. Give your loved one the "weathered" look! Go to the Rainbow Pool (via the shops menu) to use this brush. This seasons hippest fashion for chilly holiday mornings. This was given out by the Advent Calendar in Y8. 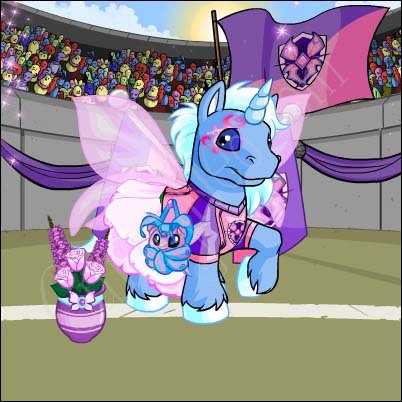 Now your Neopet can show their support for Faerieland with this Altador Cup jersey! Pink glitter and all of the other pretty faerie colours! Petals and leaves were picked by hand to make this beautiful dress. These wings may not be the most powerful, but they sure are pretty. This skirt looks like it could just float along. This paint brush has an eerie feel about it, and that strange humming noise...I wonder what it will do to my pet? 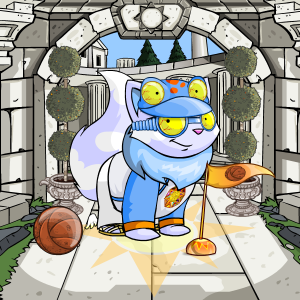 This spooky looking paintbrush will give your Neopet a scary new look. 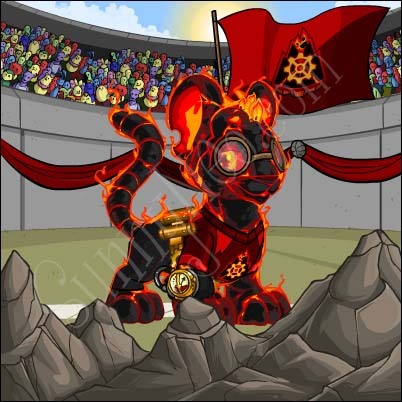 Mutant Pets can only wear backgrounds and trinkets. Neopets painted with this Paint Brush may look a bit dead. Display your love for Petpets with this Petpet Garland! This Haunted Woods Petpet Garland is only available if you have a virtual prize code from BURGER KING(R) in the US! What a charming little toadstool. Sure theyre not very comfortable, but theyre stylish. Now your neopet can show their support for Haunted Woods with this Altador Cup jersey! Give someone a fright with this spooky face paint! As lockers go, this one is quite spooky. These trousers are sure to be useful when worn with any outfit. These skulls will light your way and add a festive feeling to any spooky event. Perfect for Neopets who dont like to stay in one place for too long! These gloves are sure to keep your hands warm and they have grips to help you hold onto those ski poles. Keep your Kiko happy and healthy with these fun plasters! Help the environment in Neopia by using a reusable grocery bag! 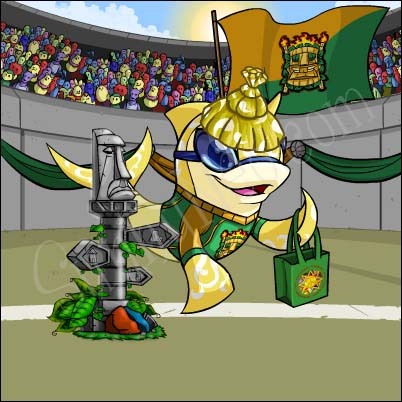 Now your Neopet can show their support for Kiko Lake with this Altador Cup jersey! Build something with this genuine Kiko hammer. These trousers are sure to go well with most shirts. It is said that all of these dubloons were found in a ship wreck. Yikes! Watch out this might blow up. What a beautiful sparkling necklace. 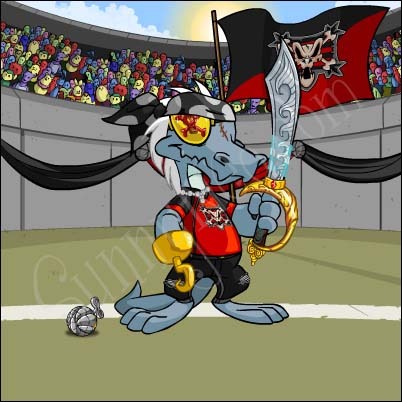 Now your neopet can show their support for Krawk Island with this Altador Cup jersey! ARRRRR, ye be a fancy pirate with this eye patch! These bones are hand carved to look like teeth. ARRRR... be leery of the sword that is pointed at you. Take this magical paint brush to the Rainbow Pool and you can transform your pet into an outstanding orange colour. Take this mystical paint brush to the Rainbow Pool and turn your pet into a rather fetching shade of purple. Who needs Faerie wings when youve got transporter beams! Awww... these paint blob plushies are SO cute! 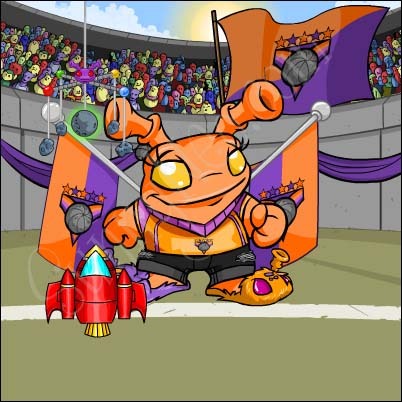 Now your Neopet can show their support for Kreludor with this Altador Cup jersey! This staff is really quite nice with the head of the Alabriss on top. Gold belts make quite a statement. This Geb necklace is sure to impress others whether worn casually or to a fancy event. Looks like someone was a bit careless with this pot. Now your Neopet can show their support for Lost Desert with this Altador Cup jersey! Be careful you wouldnt want it to tip and break! Chainmail makes a very practical skirt. 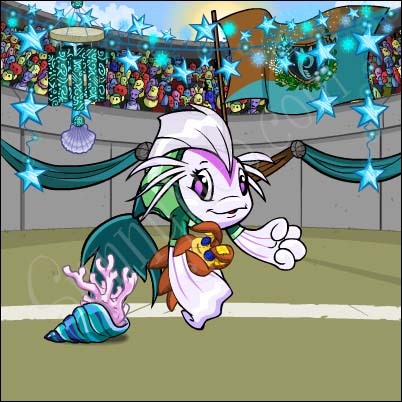 Maraquan Pets can only wear backgrounds and trinkets. Beautiful pink coral goes well with the blue shell. Maraqua has beautiful holiday decorations also! This was given out by the Advent Calendar in Y11. Isca now has her very own Negg! Nothing bad could ever happen to you while you have this. 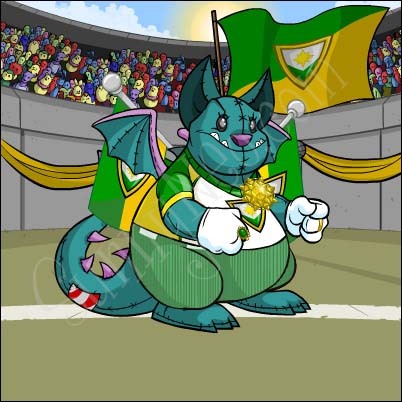 Now your Neopet can show their support for Maraqua with this Altador Cup jersey! The sweet music of wind chimes will soothe a tired soul. The lace on these trousers adds that special touch. hese stars will light the way through the darkness. Note: This was the third stage in a multi-stage Mysterious Morphing Experiment (MME). To learn more about MMEs, please go to the NC Mall FAQ. There might not be snow, but look at all of the pretty confetti! It doesnt protect you, but you sure do look fierce when you wear it! There arent many arrows in this quiver, but how many are needed? Heroes and scholars unite beneath the commemorative colours of Brightvale and Meridell. Meridell and Brightvale were discovered in the 5th year of Neopets. 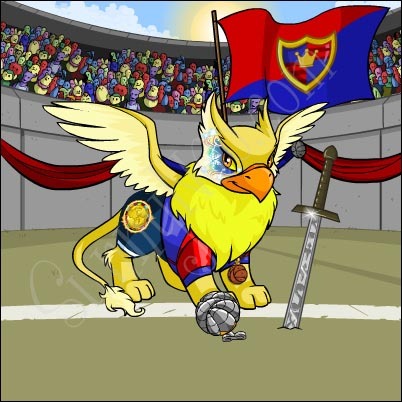 Now this lance is sure to win at a jousting tournament..
Now your Neopet can show their support for Meridell with this Altador Cup jersey! This sword has just the right weight. This is the last NC Collectible item from the Heroes and Villains Collection - Y10. Dont worry, it wont freeze your face. 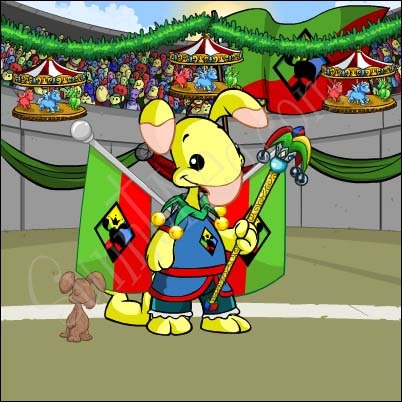 This ancient looking paint brush will give your Neopet a stony new look. Perfect if you are always misplacing gears. This ground looks quite treacherous! Looking through these spectacles you might see but not percieve if you arent looking correctly. Wearable. Now your Neopet can show their support for Moltara with this Altador Cup jersey! This crown is sure to keep the head of any Neopet warm. This was the fourth stage in a multi-stage Mysterious Morphing Experiment (MME). To learn more about MMEs, please go to the NC Mall FAQ. The stripes add a nice touch! When you dont have wings of your own, you have to resort to building them! ww... this belt is quite hot. This armour would be perfect with gauges and dials that will assist an adventurer. Give your Neopet a tropical twist with this magical paint brush! 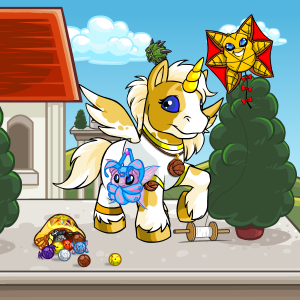 This festive shirt is perfect for Mystery Island! This was given out by the Advent Calendar in Y11. Now your Neopet can show their support for Mystery Island with this Altador Cup jersey! This hat is made of straw that is painted. It is said that if this is worn on the right side it is very lucky and if it is worn on the left side it only brings a little luck. Look through the eyes of a Yooyu. For a psychadelic pet, take this brush to the Rainbow Pool. Put this on and you will be as jolly as the Merry Go Round Blumaroo! Never leave home without this adorable Blumaroo wooden toy! This Blumaroo Wooden Toy is only available if you have a virtual prize code from BURGER KING(R) in the US! 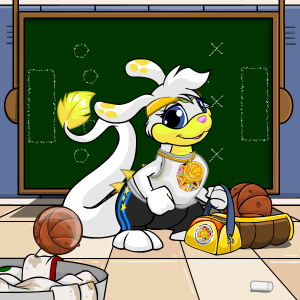 Now your Neopet can show their support for Roo Island with this Altador Cup jersey! Only kings of comedy will dare wear this! Roo Island was discovered in the 4th year of Neopets. Yooyuballs bounce around in this fun lamp! Display your love for Petpets with this Petpet Garland! This Shenkuu Petpet Garland is only available if you have a virtual prize code from BURGER KING(R) in the US! This hat is perfect for catching rocks and gems. 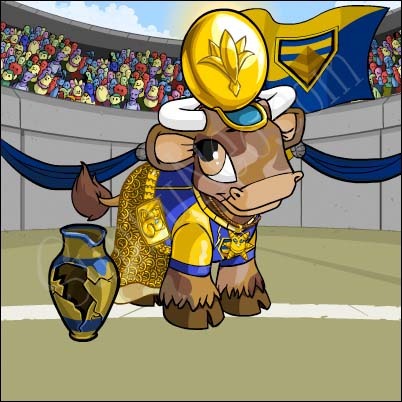 Now your Neopet can show their support for Shenkuu with this Altador Cup jersey! AHHHHH.... oh wait it isnt going to attack. Add a bit of spice to an outfit with this unique headband. These trousers wrap around you and have a tie! Candle light tends to make everything look better. This hat was quite useful to Jordie on his adventures around Neopia and down into Moltara. Even Anshu knows that an adventurer must have a sturdy tunic. Add a bit of mystery and depth to your look with this pretty wig. What a pretty little brush, this must do something very special to your Neopet. Wow! The Christmas Paint Brush! Take your pet to the Rainbow Pool and make him or her a shade more festive! This pretty garland is sure to add some winter charm to any Neohome. This was given out by the Advent Calendar in Y9. Now who dropped an ice cube? Now your Neopet can show their support for Terror Mountain with this Altador Cup jersey! This staff is carved out of a single piece of ice. Sparkling like the stars above, she glided across the floor. Hope you have bundled up! 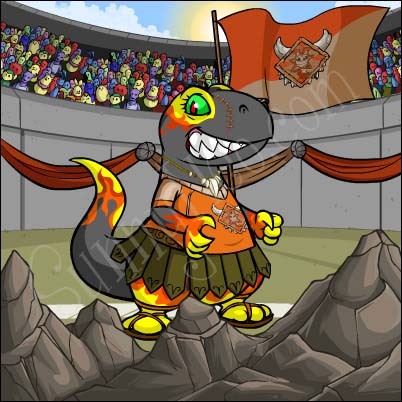 Take your Neopet to the Rainbow Pool and give them a prehistoric look with this paint brush. Show that you are a true gamer with this fun shirt! 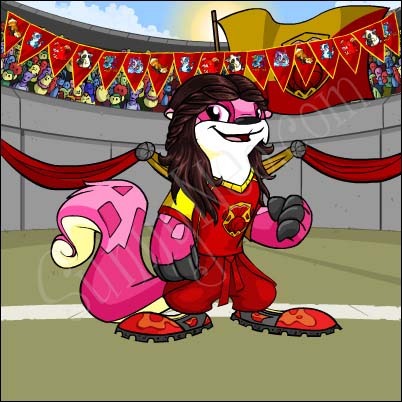 Now your Neopet can show their support for Tyrannia with this Altador Cup jersey! Keep your lunch out of the reach of those who might eat it with this handy lunch bag. AHHHHHHHH!!! Run, the volcano is erupting! Ahhh... sun shine feels so nice. Get a little primitive with this fun toga! Get carried away to Tyrannia with these wings. Not a roaring fire, but it will warm a Neopet. Ouch, this looks like it hurt! 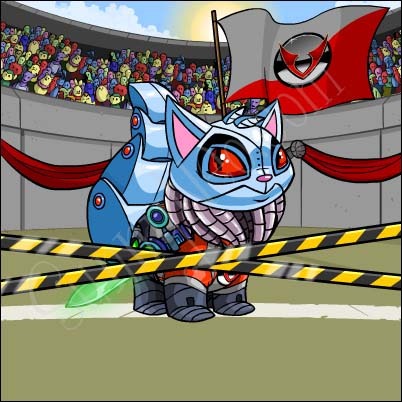 Turn your Neopet into a Robot! Please pick up your rubbish! EWWWW... it is dripping slime! Oh... this caution tape is very shiny! 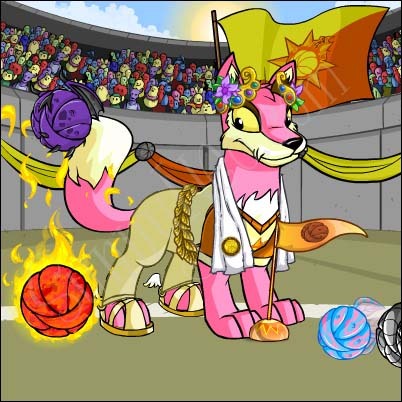 Now your Neopet can show their support for Virtupets with this Altador Cup jersey! Complete with boots, so there is no chance of an air leak. Awww... look at all the little robot Petpets!